Reader Jane Levy of Henderson, NV tells us this is a potluck winner and we can see why. 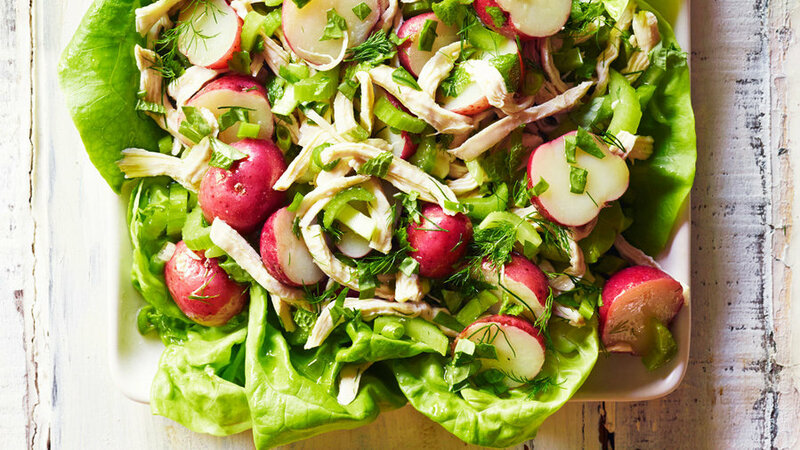 We love the combination of fresh basil, dill, and mint tossed with chicken and potatoes. 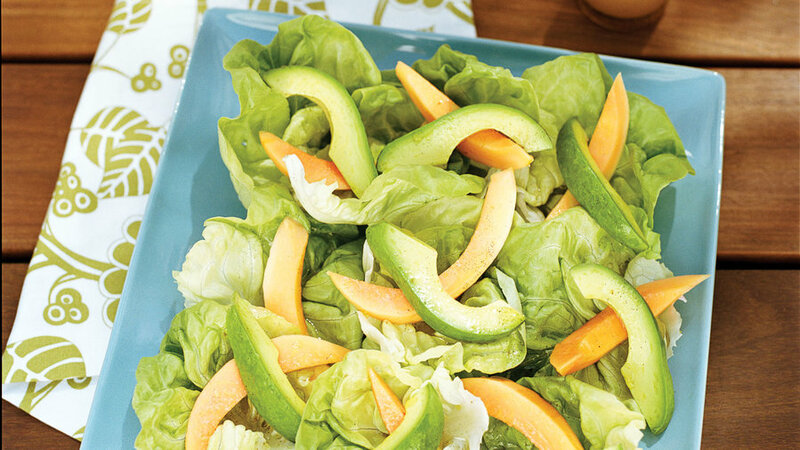 Tropical fruits and flavors make this salad a standout. 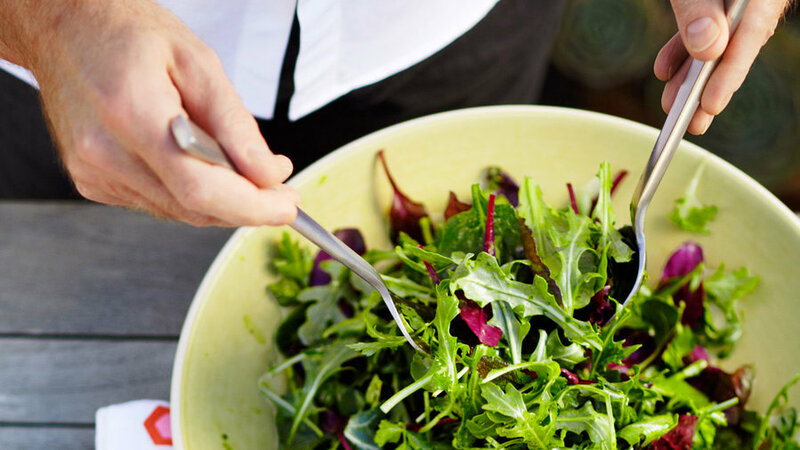 Keep the vinaigrette separate from the salad until you’re ready to serve. 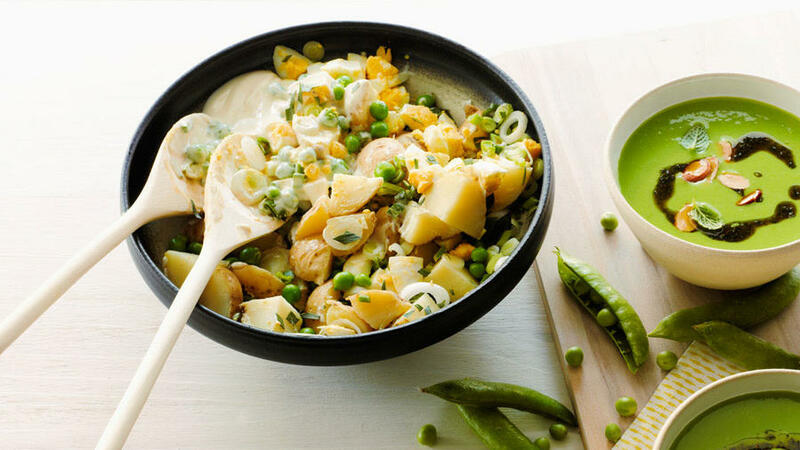 Fresh peas, spring onions, and tarragon add freshness to this perennial potluck dish. We mean no disrespect to the original, but this potato salad is our new favorite. 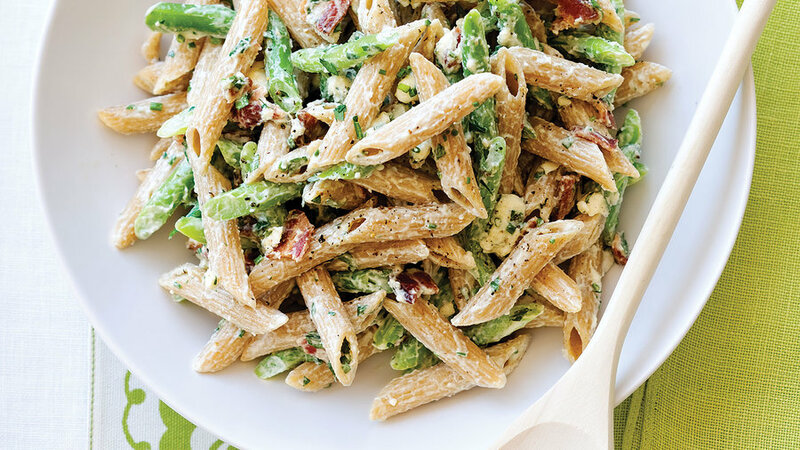 Pasta salad is a must at any potluck. 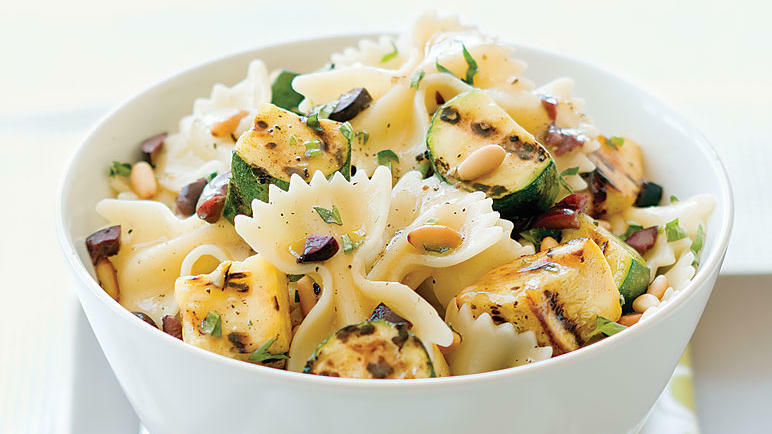 This salad changes things up in the best possible way with the addition of grilled vegetables and an unexpected pasta shape. 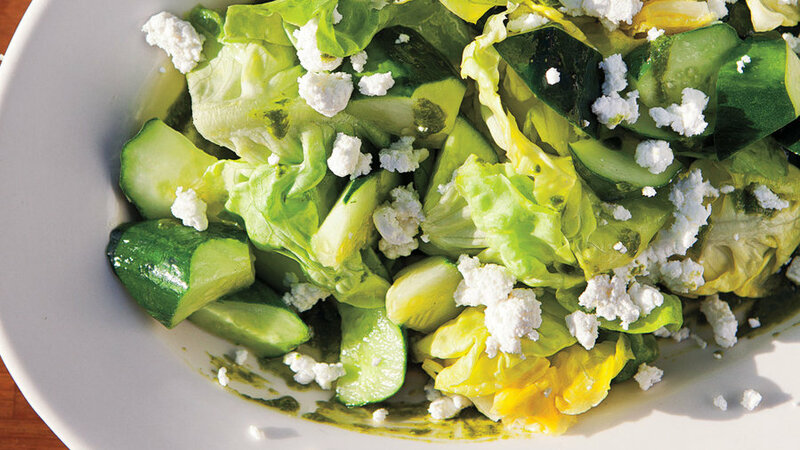 Fresh shades of green get topped with goat cheese in this simple yet elegant salad. Serve it on a platter for a special presentation that’s easy to pull off. 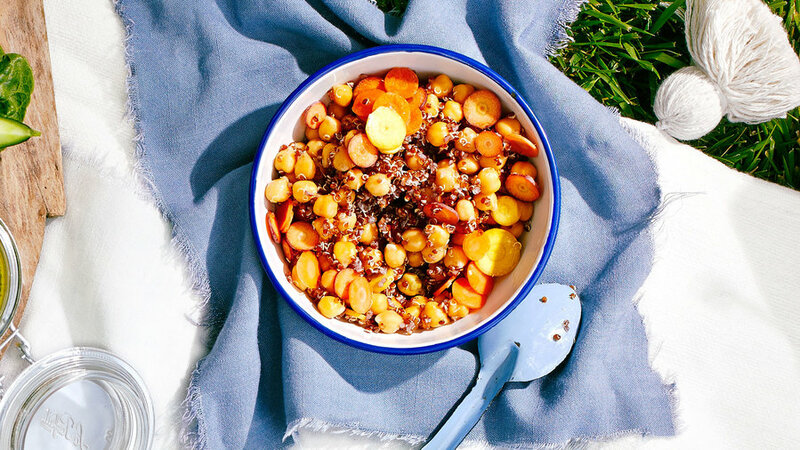 Inspired by a simple Moroccan carrot salad, we added quinoa and chickpeas for an extra touch of texture and color. It’s perfect for a gathering because it stays crunchy and crisp. Easy to transport too. 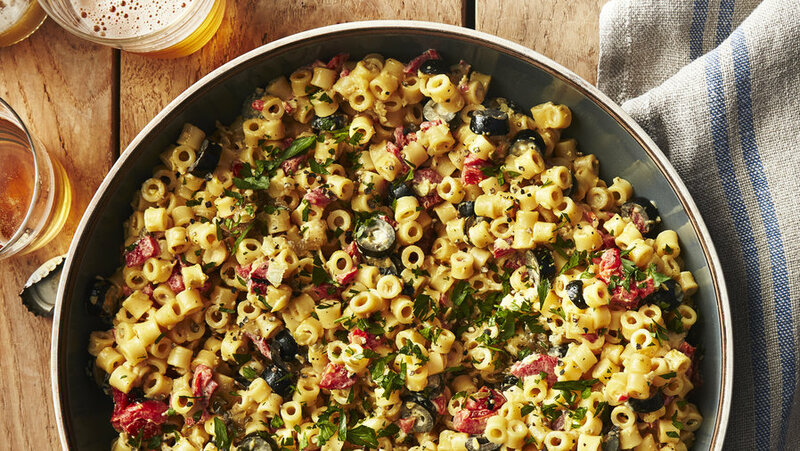 Whole grain pasta maintains its shape and texture when dressed and chilled, making this a potluck favorite. Sunset readers love trading the green beans for other vegetables. Use this as a template and customize with other tasty greens. 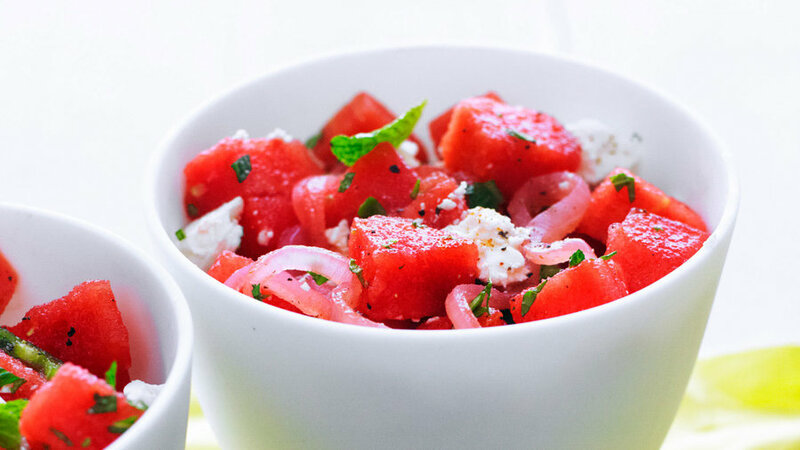 Slightly sweet, slightly salty: that's the way we like our watermelon salad. A kick of cayenne and lime juice give this dish a punchy flavor. Members of the Santa Maria Elk’s Lodge have been serving this salad with their famous barbecue for decades! Carry it with pride to the next potluck you attend. The dressing is loaded with fresh herbs, which pair well with the baby greens. Store dressing separately and toss the salad just before serving. Feel Good Food Catering of Santa Cruz shared this recipe with us, and it's become a real reader favorite. 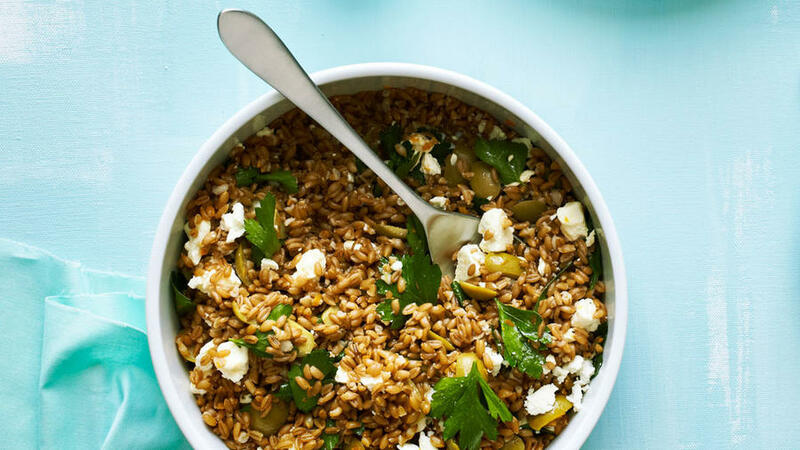 This salad is perfect for potlucks because it doubles as a vegetarian main dish.